Was originally a 300 Win mag. It has all the usual lightweight firing pin & shroud, fluted bolt & barrel, T2 Terminator brake, 20 moa HD alloy rail. Bryan, Toby and BRADS like this. So basically a 300 RUm but shorter , lighter and less powder. Would be all over it if my RUM barrel I got off you wasn't so accurate. The 375 case is a bloody good case, has great brass & incredible performance with the right powder/projectile combination. Yep would rather have the 375 case over the Rum, Win mag, Rem mag, STW, Blaser or Dakota etc. My RUM is accurate and goes good but 50fps for?? 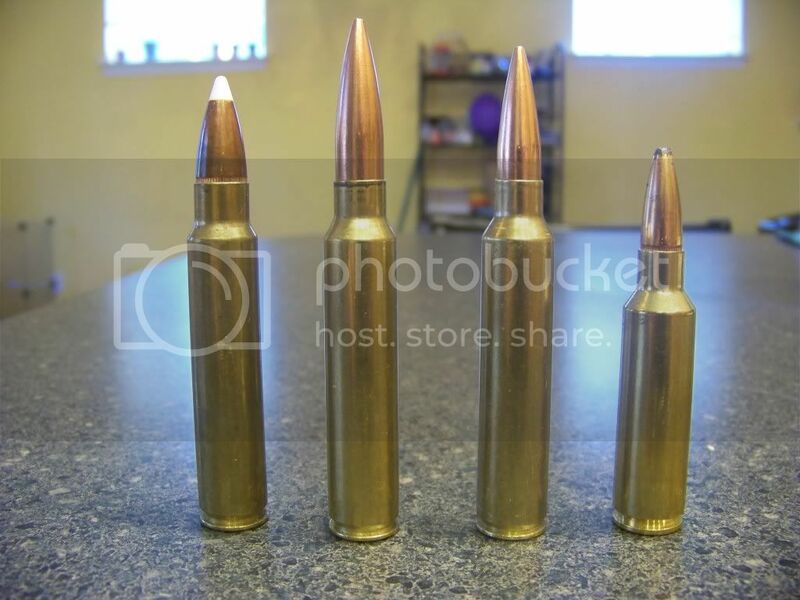 ""Here's a picture of a 375 Ruger (260 Accubond), 338/375 (250 Matchking), 30/375 (185 Berger VLD), and a 300 WSM(180 SP) ""
Last edited by Timmay; 25-08-2013 at 09:28 AM. 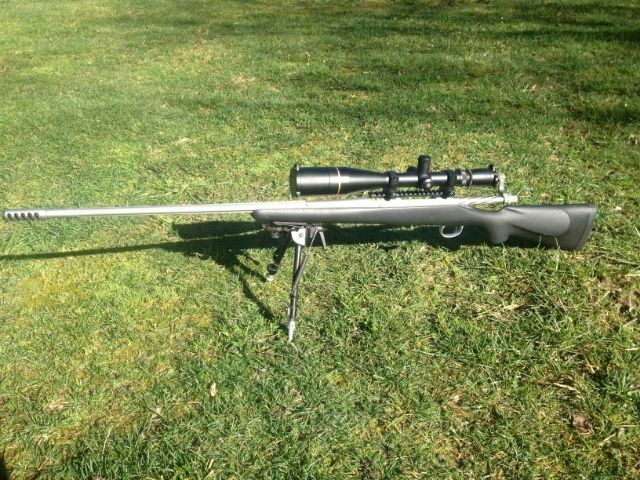 Took it up the range again this arvo to do some load testing with the Berger 215 hybrid. Speed is looking good, just have to tune it for accuracy now. distant stalker and BRADS like this. What's the speed like for the 215 compared to 208? I only tested them with one powder, they are going around 3000. Excuse my ignorant, what is the advantage over 300 WSM? Correct me if I am wrong, disadvantage would be more powder, more recoil, less barrel life, need long action, custom reamer, custom reloading dies over 300 WSM. Btw, what is your barrel length? Thank you for your enlightenment. 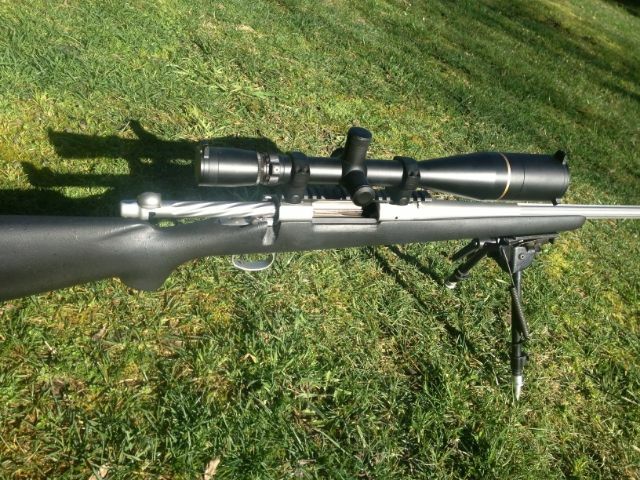 This was a standard Rem 700 SPSS 300 win mag, it has a factory 26" barrel, the recoil is less than a 243, closer to a 22-250, unless you take the Terminator T2 muzzle brake off. A long action is less generally less than 100 grams heavier than a short action. 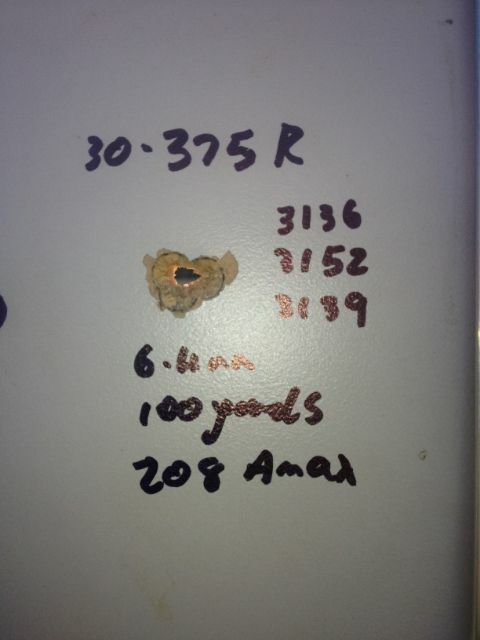 The 300 Wsm goes better in a long action than a short action especially if you use the 200 grain plus projectiles. 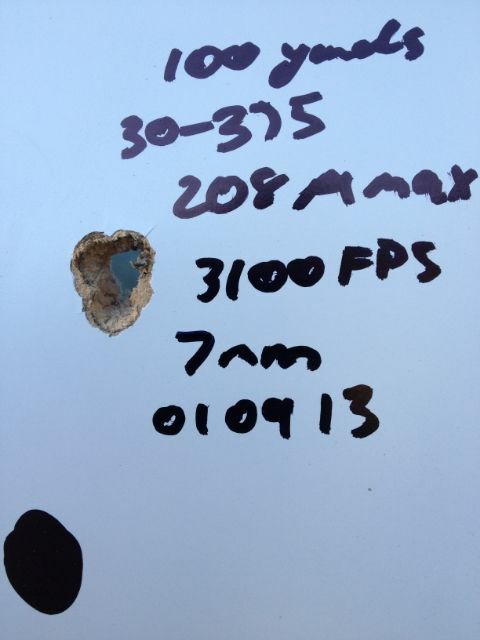 The 30-375 will push the 200+ grain projectiles better than the 300 Wsm. The dies arent much more expensive than a standard set for the Wsm, the brass is a dearer.